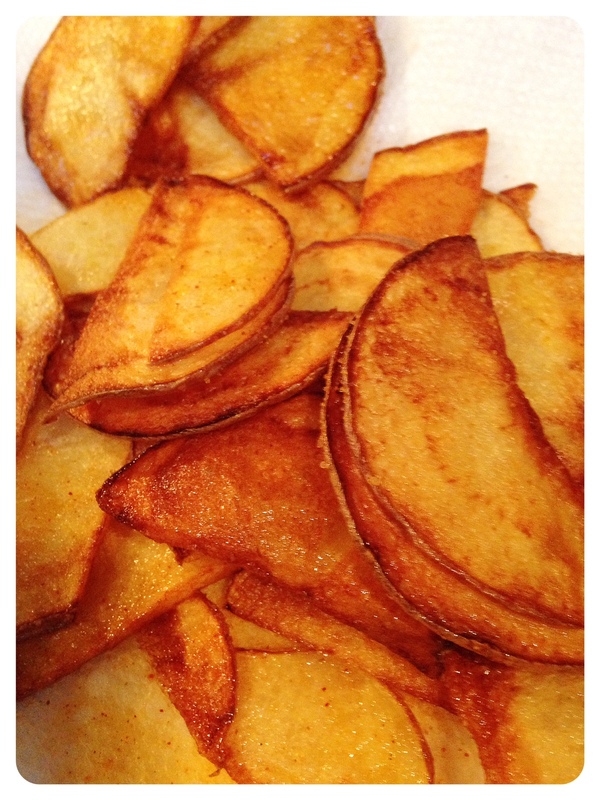 Easy Homemade Potato Chips | Kitchenpants! I am really bad at frying things. Really, really bad. Like so bad that if I am frying something (really frying, not sautéing) and you are in the house, you should probably decide whether to take cover or grab the tissues because I am probably going to have a tantrum and maybe a good cry. That being said, I managed to make these potato chips and they were actually quite good. Potatoes – Use white potatoes or Yukon Golds for this recipe. Oil – Use an oil with a high flashpoint meaning that it will fry items at a lower temperature compared to other oils. Canola oil or peanut oil is my choice. Asian Frying Spoon – I have no other words to describe this. It’s this mesh basket at the end of bamboo stick. Thermometer – You need to measure your oil temperature to make sure the oil isn’t too hot (food will burn outside and not cook inside) or too cold (food will absorb the oil and it will be very greasy). Be sure to use a thermometer that is made for the purposes of measuring liquid temperatures in a pan. These are sold as deep fry and/or candy thermometers. Wash your potatoes. Gouge any large eyes out of them. You may peel them if you wish, but I didn’t. Slice potatoes very thinly. I used a knife, but if you have some other contraption to use like a mandolin, go ahead. I am not big on gadgets in the kitchen and I am injury-prone, so no mandolin here. 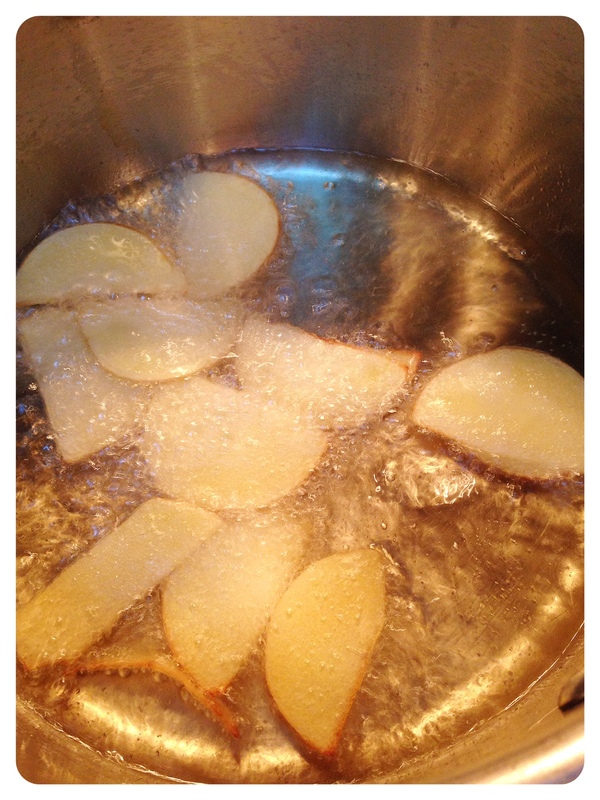 After you slice, pat the potatoes down with a paper towel to absorb excess moisture. Pour about 1.5-2 cups of oil into your pan. Add the thermometer and heat until the oil is between 350-375 degrees. Once the oil reaches temperature, it’s time to fry. Place the chips in the oil in small batches and cook them until they are golden brown. Remove to a paper towel covered plate to drain. Season immediately with the seasoning of your choice. My sentiments on frying, exactly!!!! A necessary evil, but a great result. I will try these.